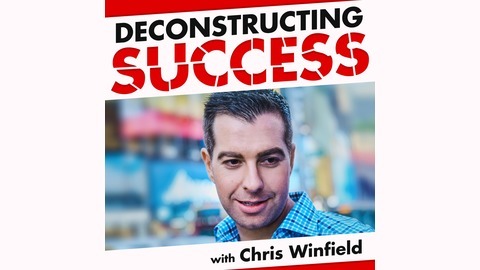 Steve Jobs once said, “You can't connect the dots looking forward you can only connect them looking backwards.” And that’s exactly what the Deconstructing Success podcast does each week when host Chris Winfield interviews top entrepreneurs, writers, artists and business people from around the world. Discover the real story of how they “made it” and how they actually work, earn money, have fun and live their lives. Learn about their exact habits, daily routines, productivity hacks and secrets are and get actionable advice, takeaways and actions to apply and try them in your own life. Do you want to be scared or... free? Scared or... rich? Scared or... extraordinary? If you're sick of being "scared" and truly ready for what's on the other side of fear... this interview might just change your life. And I don't say that lightly. This conversation with Emily Williams has profoundly affected my life and "flipped the switch" on how I view money, freedom and even fear itself. Wondering who Emily is? She's a success coach, entrepreneur, and author with a seven-figure business, who at one point, couldn’t get a job at Starbucks... and she has an uncanny ability to make complicated "money concepts" really simple and actionable! We'll cover all of that (and a lot more) in this exclusive interview with Emily Williams in Episode #13! Thank you SO much for checking out the Deconstructing Success show. 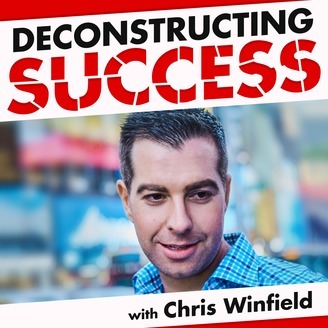 Two quick things before you go.. Thing #1) Don’t forget to subscribe to this podcast on iTunes, just type in “deconstructing success” in the search bar...and click the subscribe button. And if you enjoyed today’s show, please take a few moments to leave a review...your support means the world to us! Thing #2) You can get all of the shownotes, transcripts, breakdowns and special bonuses for this and every other episode at http://chriswinfield.com/podcast That’s it! Now go out and have the best day ever and we’ll see you next week right here on the Deconstructing Success show! #9: Ryan Levesque | The Power of "Screw It. Let's Do It!"